Isn't this just beeutiful? This is Chelsea's first finish this year .. 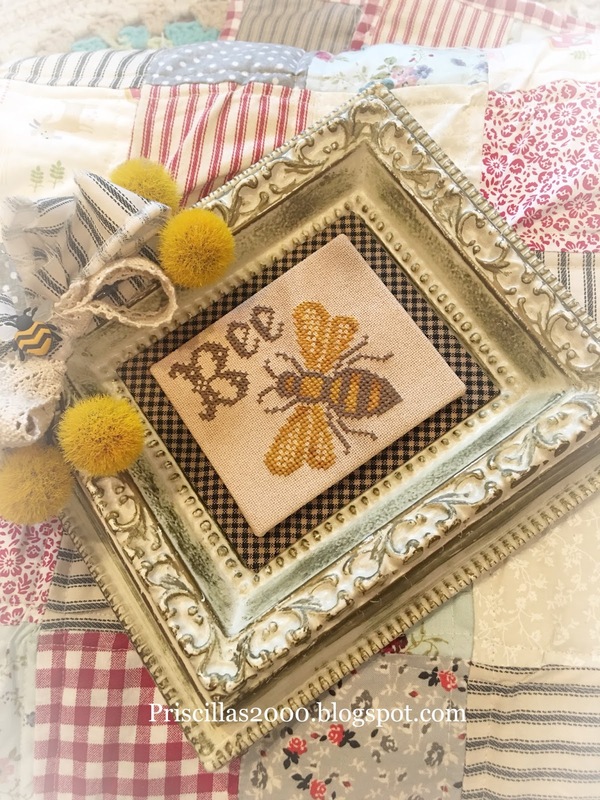 It is from Prairie Schooler Where there are bees chart..Stitched on our 28 count tea/coffee dyed Monaco ..
We found these frames last year at the Goodwill for 99 cents . 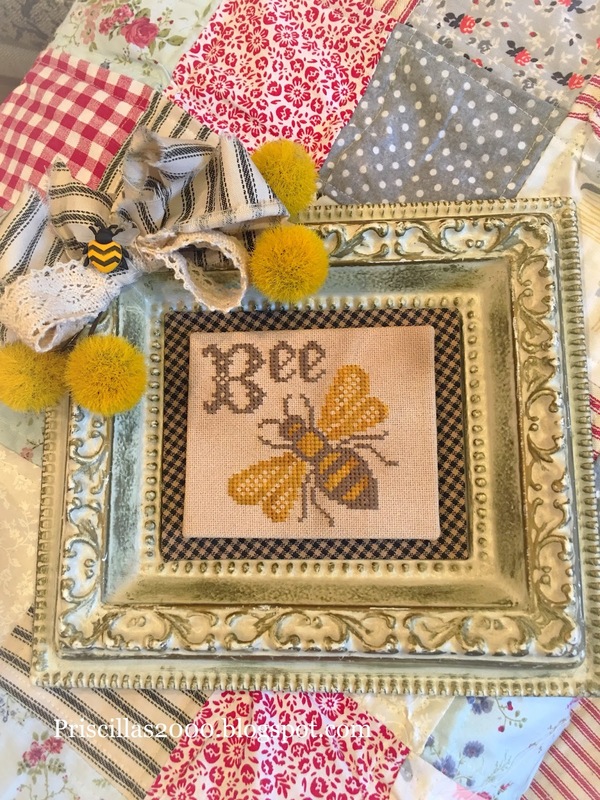 We didn't paint it it came like this..I mounted some black homespun check onto sticky board for the back .. mounted the stitching on sticky board and then made a bow from cream colored lace and torn black ticking..a little bee button and a couple little yellow thistles on each side .. adorable! 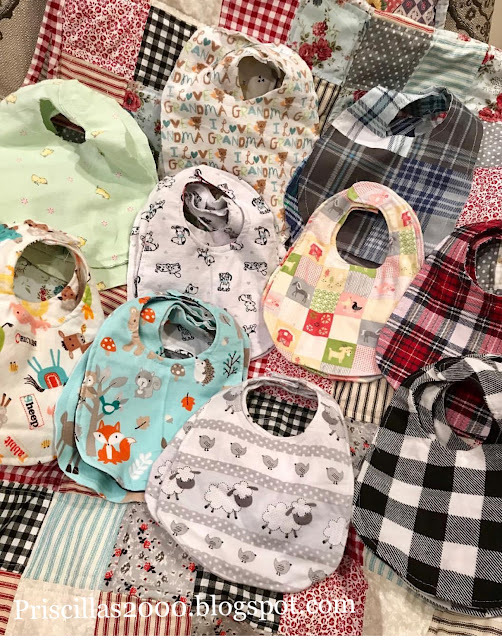 After our video yesterday , we made 22 baby bibs ..we used flannel for both sides .. Chelsea found the pattern here..
Chelsea, you got you bibs! What a good gma, Priscilla, even though the just puke on them! The bibs are adorable. Can't wait to meet your little one. What a sweet bee piece! 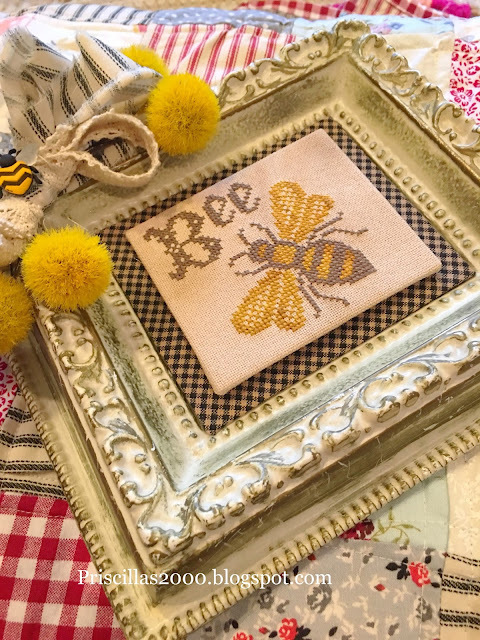 Seeing this bee reminded me that I wanted to stitch some of the individual motifs from this chart. Hi Prisciila, I wanted to ask where you found your homespun fabrics. Love the videos- you and Chelsea are a hoot! Ooh quilt sneak peak! Loved the video and I love the bibs! This baby will never be without one - so cute! Baby got BIBS! They turned out so cute :) Love the Bee! 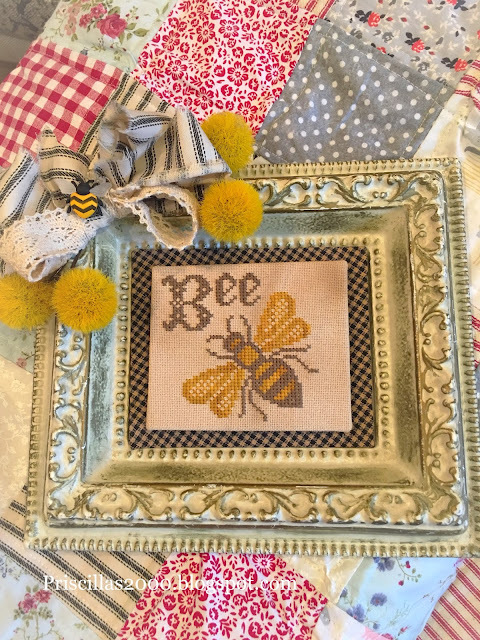 Looks great with the thistles and bow and what a perfect frame!